Its time to trade in your old rugs, with new statement pieces from Target. Why? Because they have a wide selection of gorgeous rugs to fit everyone's budget!!! Sunday (3/27) — 20% off all Rugs. 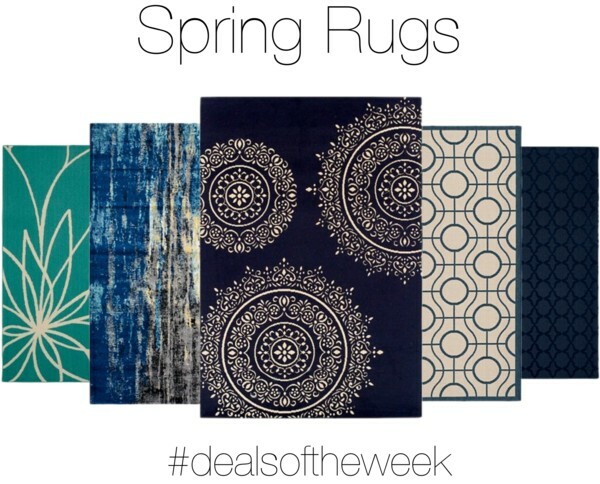 Monday and Tuesday (3/28 - 3/29) — 30% off Safavieh Rugs. Wednesday and Thursday (3/30 - 3/31) — 30% off nuLOOM Rugs. Friday and Saturday (4/1 - 4/2) — 30% off Threshold Rugs. NB: FTC Affiliate links used and I will receive a small commission if you make a purchase after clicking on my link.